The firm said the initiative is part of its commitment to being part of the conversation that influences the changes the housebuilding industry should consider. Attracting new talent, adapting ways to handle the skills and material shortages, as well as delivering new homes that meet customer’s aspirations in the future are just some of the challenges facing the sector. A team from Taylor Wimpey West Scotland, led by technical director Stephen Andrew, has set out both the current and the future challenges that face the housebuilding industry to over 500 second year business students, who have been challenged to provide their opinions on how the business can play its role in future-proofing its business. Now in its third year, the project is a key part of the student’s graded course work that forms part of their overall study within MDP. Stephen Andrew said it is a unique way of engaging with a future workforce, who are also likely to be customers or home owners. 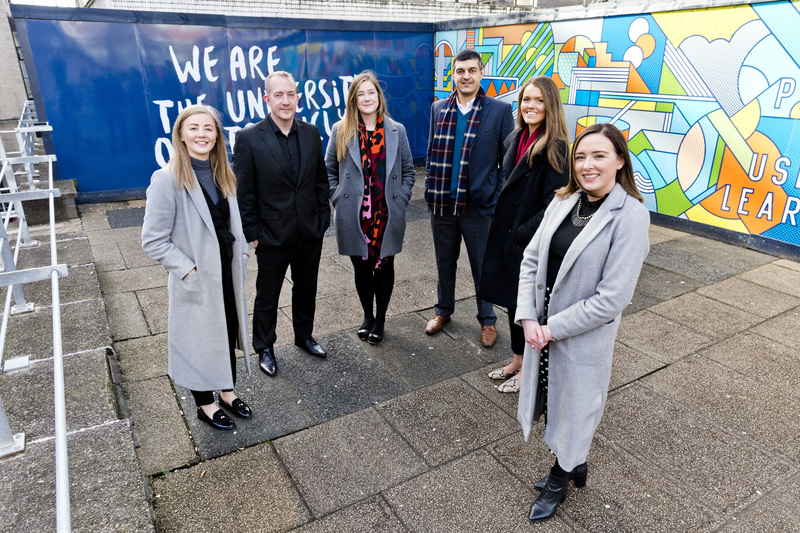 The industry case studies completed by the students will be marked by lecturers at Strathclyde Business School and reviewed by the team at Taylor Wimpey West Scotland. Some of the best submissions will have a chance to pitch their ideas in a live boardroom session with the Taylor Wimpey West Scotland senior board team. Exceptional ideas may even be passed onto the Taylor Wimpey UK board for consideration as Stephen added: “We’ve set the students some tough questions that mirror some of the issues that our business and wider industry faces. And we’ve given them free reign to tap into their creativity to generate fresh ideas that might give us an innovative edge in the industry. The Management Development Programme (MDP) is a core element of the undergraduate degree programme in the Strathclyde Business School. The programme is three years in length and provides students with a learning environment through which they develop business and commercial awareness alongside graduate employability skills. The programme adopts a blended learning approach and is based on social constructivist and experiential learning principles. Students are exposed to the reality of business through industry engagement, as well as development of knowledge and understanding through dialogue. MDP director Dr Nikos Danias once again welcomed the participation of Taylor Wimpey West Scotland to the Management Development Programme. He said: “We are delighted to have the opportunity to further strengthen our ties with Taylor Wimpey, and for their team to visit our campus for the third time. “MDP is our flagship undergraduate programme and it provides students with many opportunities to test their skills and knowledge in real life scenarios and situations.